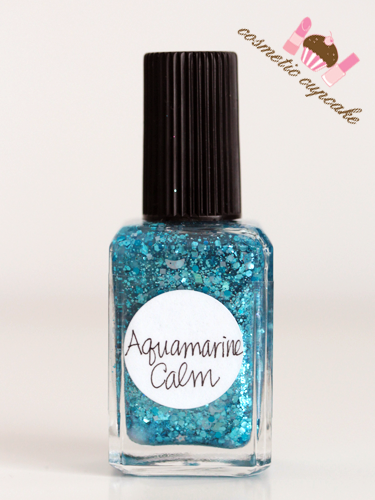 Aquamarine Calm contains a mix of light cyan hex, diamond and square glitters with a smattering of holographic silver star and half moon glitter in a turquoise shimmer base. Isn't it just gorgeous!! I love the different sized glitters in the shimmer base and I'm just a sucker for cyan/turquoise/teal glitters lol. I found it a bit difficult to get the half moons and stars onto the nail but overall it applied pretty well. 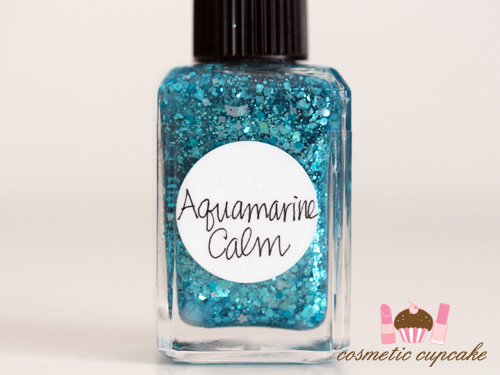 I used 2 coats of Aquamarine Calm over 2 coats of Kester Black Blueberry Tart topped with Seche Vite. 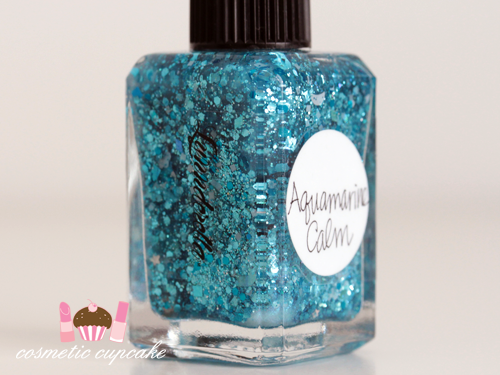 Details: Lynnderella polishes can be purchased from Glitter Connect for $24.95 for Aussie ladies (make sure you check out the Glitter Connect Facebook page for the latest Lynnderella updates! ), Lynnderella.com for US ladies and Norway Nails for European ladies. More swatches soon! 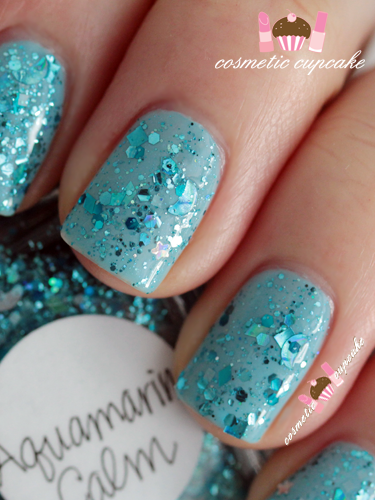 You can check out my other Lynnderella swatches here. Thanks for looking as always!! 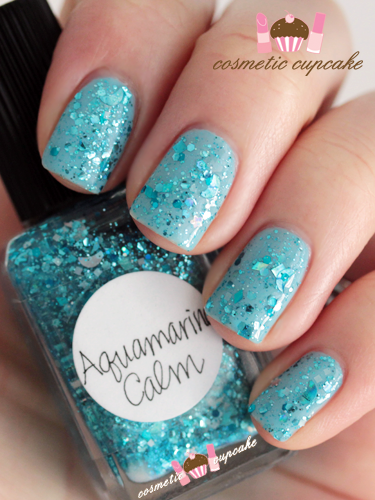 It's gorgeous, looks stunning on your nails! Wow! Amazing! I love lynnderella so much! 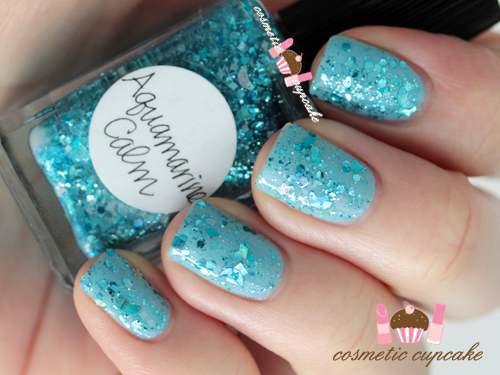 What a lovely combo, you picked the perfect undies for this polish. Beautiful. This is pretty. It looks similar to a polish I mixed up last year. Makes me want to use it, lol. I love this! Best colour. Birthday and wedding packages from Christina! !